French architect, designer and poet Gérard Grandval, best known for his cylindrical buildings that compose the Choux de Créteil complex, often experimented with smaller, similarly modular habitable forms. 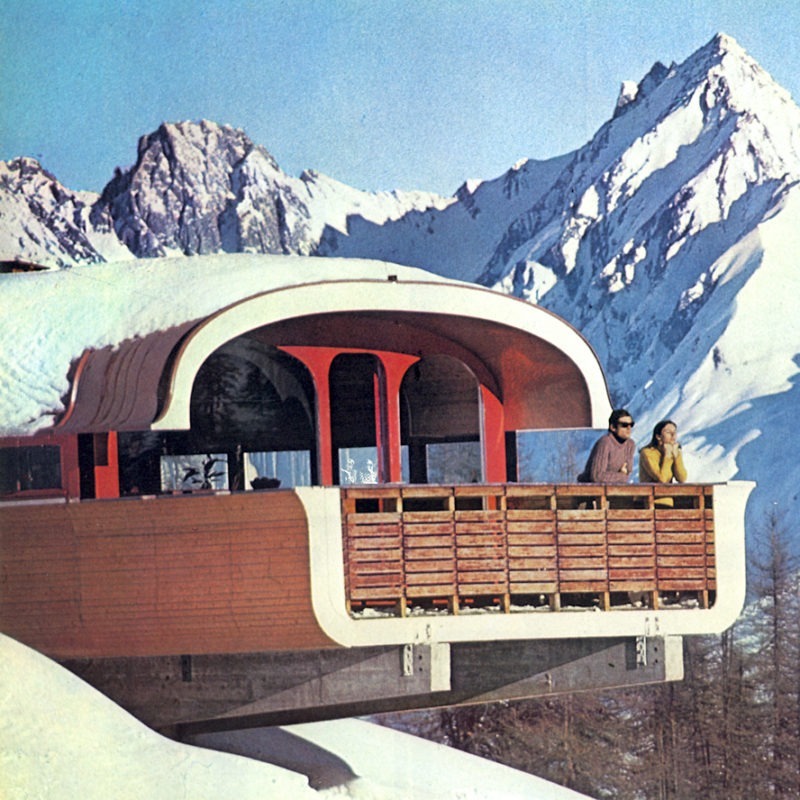 This included a collection of shell-type polyester alpine chalets that were made available as fully prefabricated units by SERA (Society for Studies and Architectural Achievements) from the 1960s. With soft, curvilinear silhouettes throughout intended to mimic snowy surrounds, the construction of Grandval’s chalets owed more to shipbuilding than that of typical residential construction.